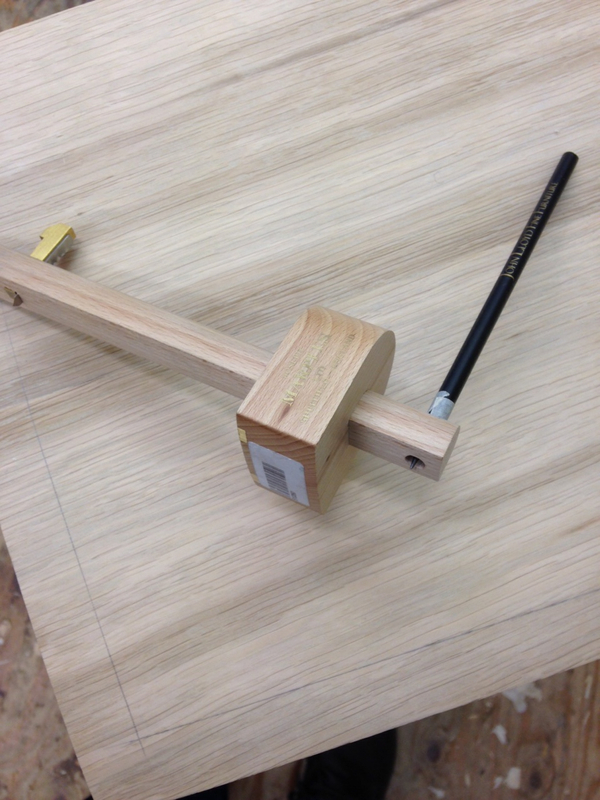 As promised here's a technical view of a curious tool called a scratch stock, this tool has been around for centuries and is used to in-lay thin strips of contrasting wood or carve into surfaces. The tool is often used as a finishing touch to work, this is terrifying as after having spent weeks crafting a piece you then attack it with a homemade tool which is essentially a piece of carved wood with a razor sharp blade wedged into the middle. So as a finishing touch to the console table I thought a fine line inserted into the top would highlight the curved form of the top and give some interest to the eye. The first step is to sharpen the cutter which is a ground jigsaw blade that has been filed to a fine 1mm edge and sharpened on water stones to a fine mirror finish - the key to success is the get this little cutter as sharp as possible. Notice the shape of the scratch stock, the curved surface allows you to 'rock' the cuter gently as you push the cutter along. The little metal point protruding the wooden stock is the knife edge used for scratching into the wood, I know, tiny but able to cause havoc. Next you need to mark out the cut surface and make sure the blade is lined up accurately to the pencil line, this little tool is a modified making gauge, a knife at one end and a pencil at the other. 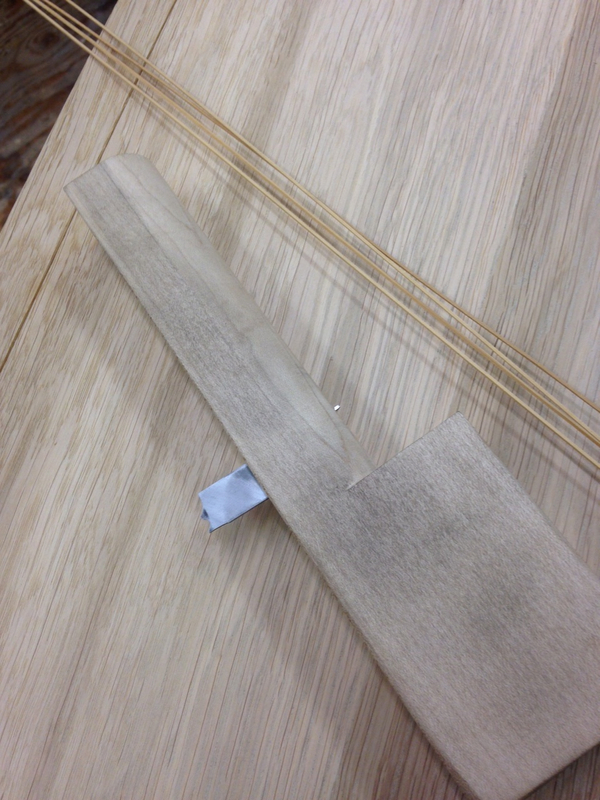 Notice the line drawn around the table top, the curve mirrors table edge. 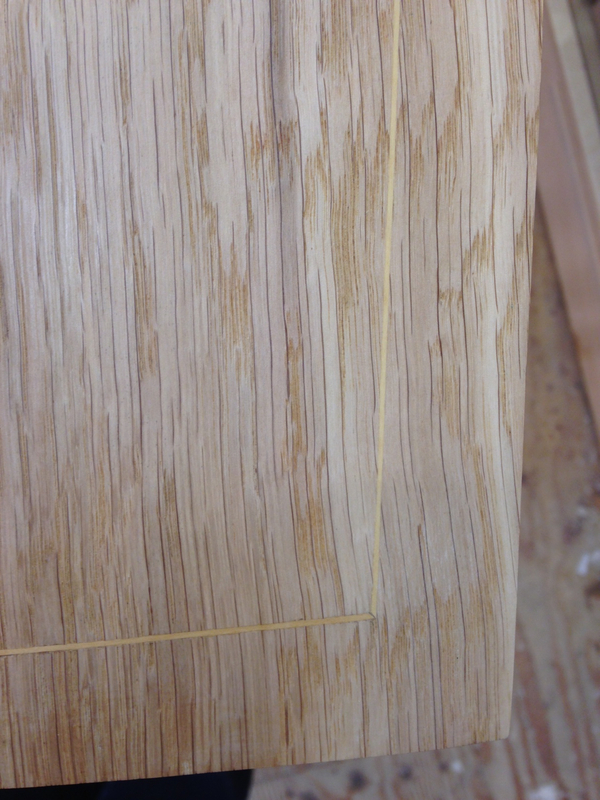 Now for the the scary bit, time to run the scratch stock over the line, gently starting to get a fine cut line and going deeper as the cut is establishing and confidence has improved. 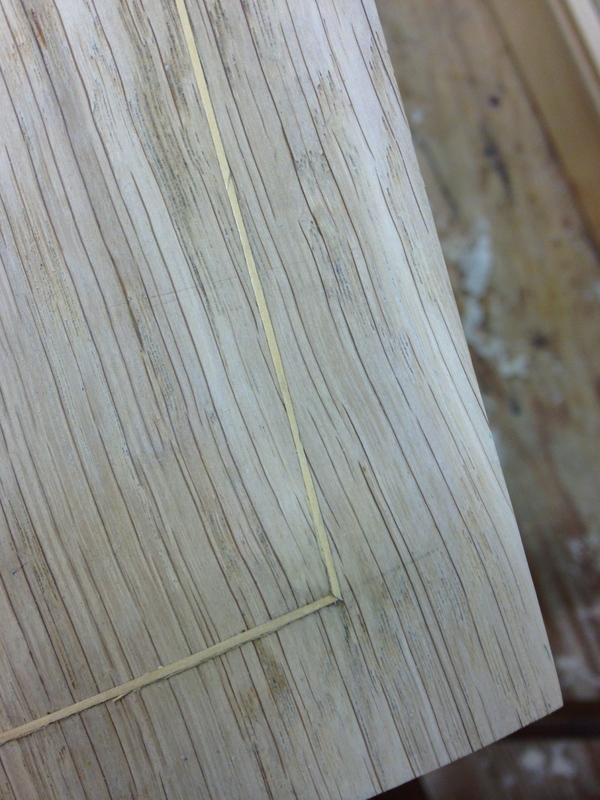 The joined points are finished off with a scalpel creating a crisp join line. Once the heart in mouth work is complete its time to insert a thin line of wood, I chose to use box wood as I wanted provide a subtle contrast to the English Oak. 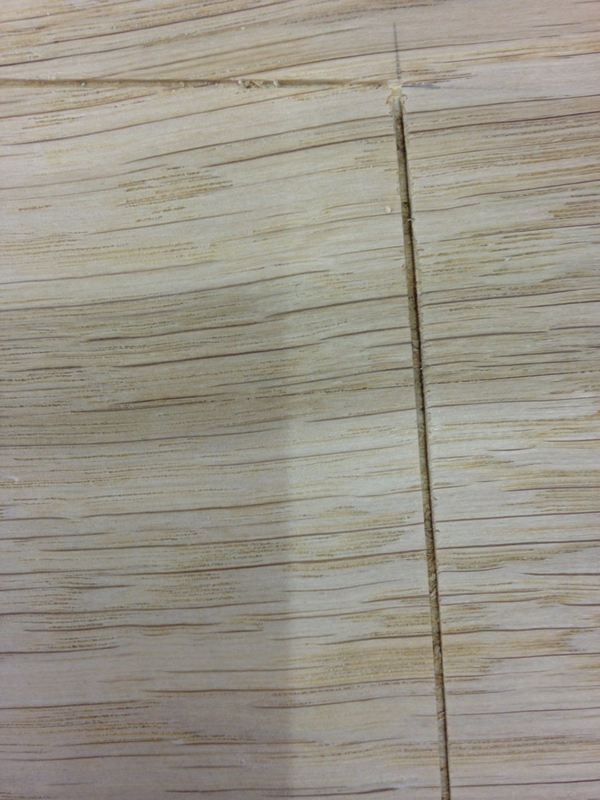 Notice the mitred corner, this gives a really elegant fine finish. So here we are, after a finishing process of cabinet scraping and a light sand we have the finished look. Although I was super careful with the cutting and in-lay giving a lovely finish I am not convinced that box wood was the right choice. It is perhaps a little too understated causing the line to disappear at certain parts of the table top, I am faced with the difficult task of re-scratching this out on Monday and inserting something with a little more contrast, perhaps some walnut or elm would work better. After spending weeks making the best table these hands are (currently) able to make the correct finishing touches are important.